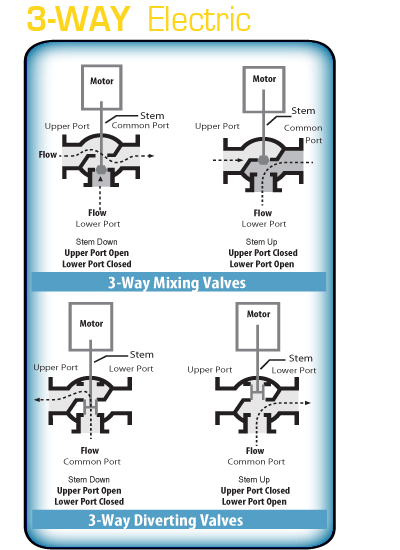 Three-Way valves available in mixing or diverting designs. 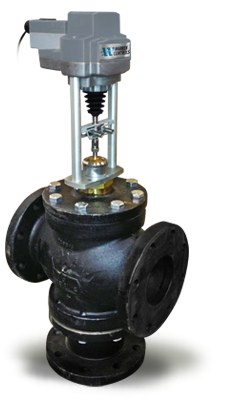 The valves are available with Bronze or Iron bodies and Bronze or Stainless Steel Trim. Flange ratings are either ANSI 125 or 250. Size range is 1/2 inch to 6 inch.